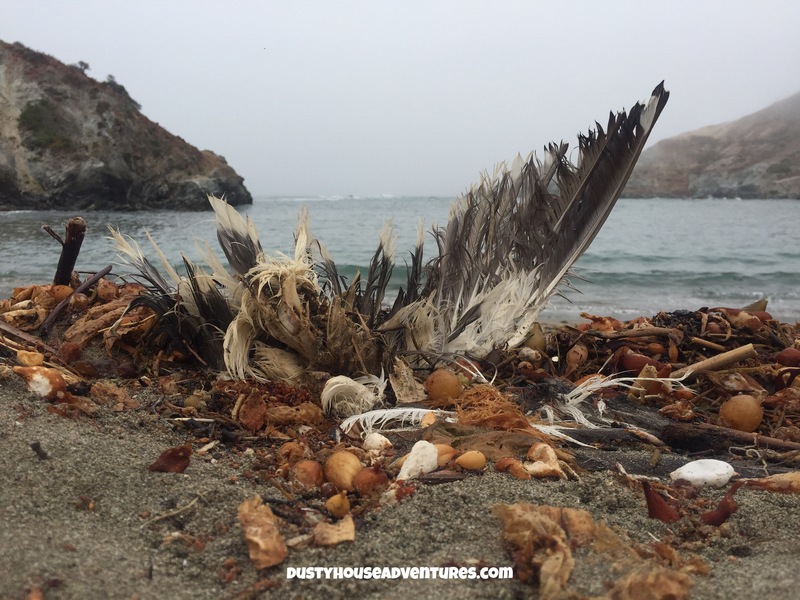 The first morning we woke up at Little Harbor Campground on Santa Catalina Island to a present left to us by a local. A dear little fox had placed, shall we say, a bundle of his waste upon our picnic table. A little while later we saw the prankster himself lurking around the corner near some bushes. He had no time for us and definitely had a huge chip on his shoulder. He glared and did his best to demonstrate that we were utterly beneath him. On the last evening of our stay he would yell at me for hiking through his lair. I have to admit that I found him quite intimidating for a creature of such small stature. Coincidentally, I’d worn a t-shirt on this trip that asked the age old question, “What does the fox say?” I received an answer. 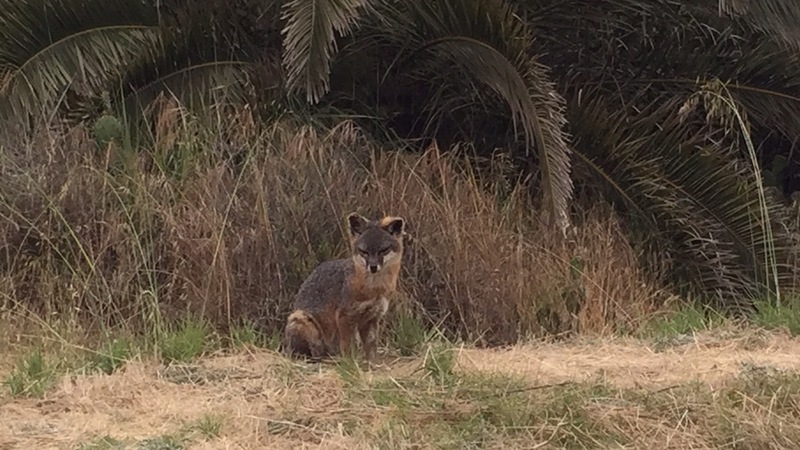 The fox says, “Get off my lawn!” Hear it for yourself near the end of this video I made of our trip https://youtu.be/QMQMmpzGbZw. 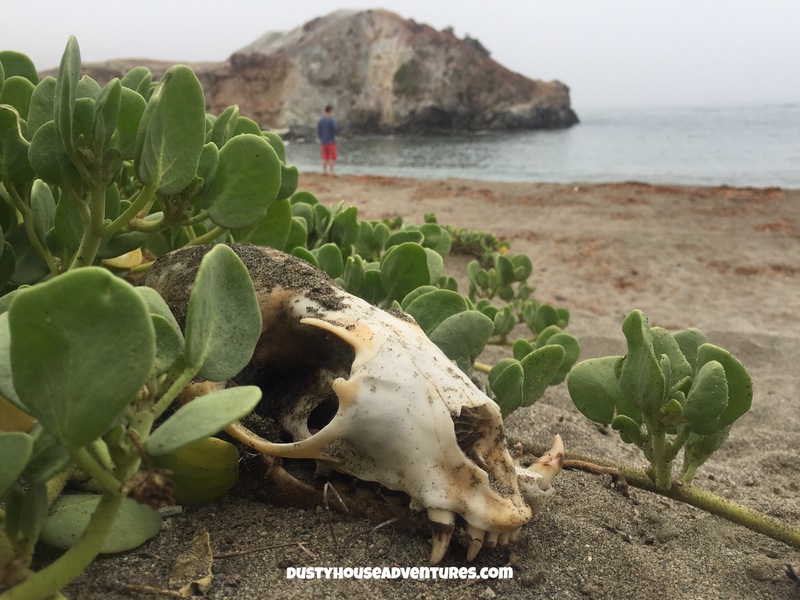 On the second night camping at Little Harbor campground, at about midnight, I heard the sound of a deep loud bellows puffing near the tent. I knew that it must be Tatanka, aka the buffalo that we’d seen high on the hillside that morning. I poked Michael and said, “There’s a buffalo right outside the tent! Come out with me to see him!” Michael groggily replied, “I hear him.” Then he went back to sleep! Inconcievabe! (“You keep saying that word. I do not think it means what you think it means.” …Princess Bride…anyone?… nevermind…) Armed with my GoPro set to night vision I determined to get close enough to snap a photo of him without getting gored to death. Having no up close and personal experience with buffalo, I wasn’t sure their tolerance for tourists. Given the chilly reception the fox gave us, I was disinclined to be optimistic about my chances of surviving being an annoyance to the buffalo. Intellectually, I knew that a scraggly bush wouldn’t be enough to separate me from a buffalo and meeting my maker, but nevertheless the idiot inside me shined my flashlight right at him — he must have been no more than 20 feet away — and attempted to take his picture. The best I could achieve was a totally black photograph with one shiny white dot representing a reflection off his eye. But his breathing was SO LOUD and really scary. I ran back to the tent to try to rouse Michael again. Nothing. I was all on my own with this one. 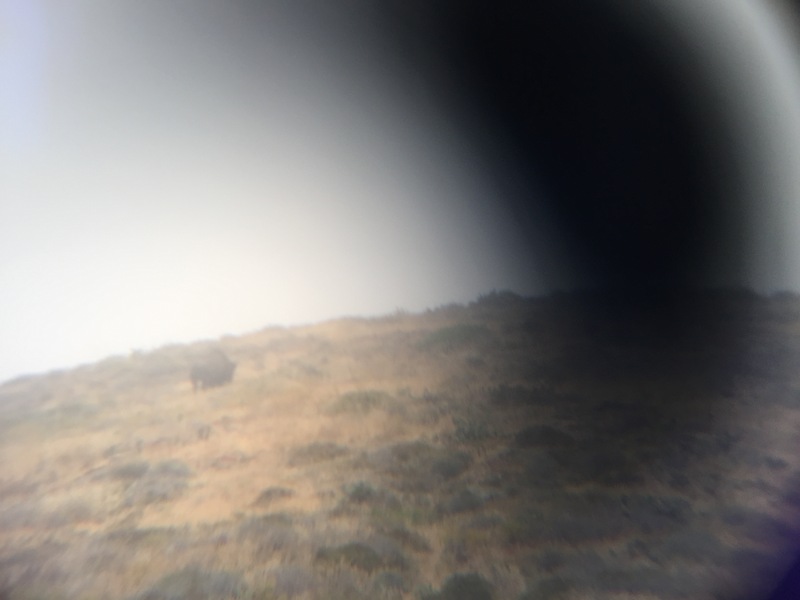 How can I impress upon you how big a wild buffalo is when the only thing between you and you annoying the buffalo into stampeding you is a ridiculously flimsy dry bush? All I can say is that we saw buffalo beds in the grass when we were hiking and they were the size of an economy car, a California King size bed. Just plain really really big — and hairy. The beach had some more photogenic ex-wildlife. I liked this stuff a lot. Kinda looks like a Thanksgiving table centerpiece. 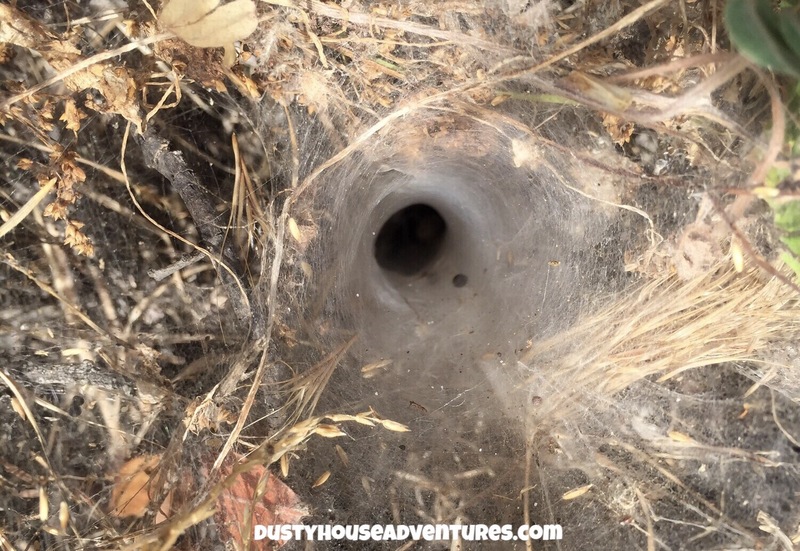 I saw two of these funnel shaped spider webs while out hiking. I’ve not seen this kind before. I looked it up and learned that this kind of grass spider lives all over North America. His web isn’t sticky and he hides down in that hole. Michael is afraid of spiders. I should have told him to close his eyes and then put his face up close to the hole before saying, “Ok, now open!” That would have been fun.